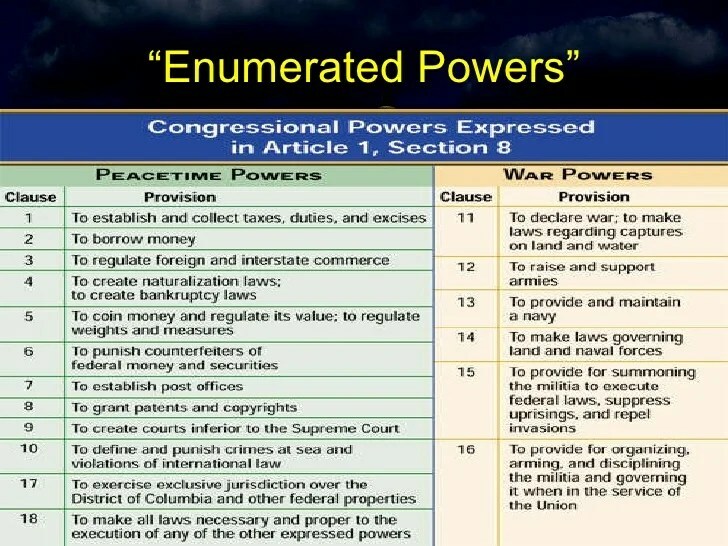 I have this quaint notion that the Constitution guarantees economic liberty by limiting the power of Washington. Needless to say, parental leave is not one of the enumerated powers in Article 1, Section 8. Sadly, many people (include the Chief Justice of the Supreme Court) don’t share my view. So let’s set aside that objection and focus on the policy implications of a new entitlement program. I’ve already explained why the federal government shouldn’t have a policy on parental leave, but the topic isn’t going away so let’s look at the issue again. The first thing to realize is that the fight over “parental leave” involves several competing options. Here are the four alternatives. A “conservative” plan to allow new parents to finance time off by tapping into the bankrupt Social Security system. A plan from the left to make parental leave an entitlement financed by payroll taxes. A plan from the left to mandate that employers provide paid leave. The libertarian notion that it’s none of the government’s business. Writing for National Review, Alexandra DeSanctis argues for an expansion of government’s role. Joni Ernst of Iowa and Mike Lee of Utah recently introduced the Child Rearing and Development Leave Empowerment (CRADLE) Act, the latest conservative effort to develop a paid-leave policy that enables parents to stay home with their newborns. …It would amend the Social Security Act to allow parents to take up to three months off from work by drawing on their retirement benefits early in exchange for delaying their benefits after retiring. You can read my concerns about this approach in this column from last March, so I don’t want to reinvent the wheel. But Ms. DeSanctis makes some new arguments that cry out for rebuttal. Starting with the notion that we should be ashamed that we’re not copying Europe’s decrepit welfare states. The United States is the only country in the Organization for Economic Cooperation and Development (OECD) — an intergovernmental economic alliance of 36 member countries — that doesn’t have a national paid-leave program. Wow, I never expected to see this type of argument in National Review. William F. Buckley must be spinning in his grave. Heck, I made that argument a punchline in my recent collection of anti-Bernie Sanders satire. She also wants to water down the definition of conservatism so that it means whatever is convenient for certain politicians. The conservative argument against the proposal is intriguing as a matter of principle, but it is worth noting that the Republican politicians offering these paid-family-leave bills in recent years are also some of the most conservative policymakers in the Senate. …This new proposal is an effort not to expand the government but to protect and cultivate family life, which ought to be the chief goal of any country that cares about its future. …as the Right grapples with populist arguments for greater government prioritization of the needs of working-class Americans negatively affected by globalization, conservatives should embrace efforts to incentivize family growth and offer parents more flexibility in caring for their newborns. Indeed, it’s precisely because strong families are good that Washington shouldn’t be involved. Which is why I prefer what Rachel Greszler wrote for the Heritage Foundation. Here are some excerpts. …a new national entitlement…could expand as other federal entitlements have, potentially costing hundreds of billions of dollars per year. …the role for the federal government is to remain neutral with regard to parents’ decisions to stay home or work outside the home. The government can, however, make it easier and less costly for workers to take family leave by reducing marginal tax rates so that workers have larger paychecks, supporting, instead of impeding, flexible work arrangements between employees and employers, and cutting costly regulations so that businesses can afford to provide paid leave. And I definitely like articles that make the principled case against more government. For instance, here are excerpts from a column by Veronique de Rugy. Even if we pretend that it doesn’t change the size of government because the increased spending in the beginning will perfectly offset a few decades later with delayed benefit payments and increases in revenue (i.e., parents delay retirement and hence continue to send taxes to Uncle Sam), the plan increases the scope of the government immediately. You can’t wish away the fact that it drags the government into an area where it played no role before. And George Leef, writing for Forbes, has similar concerns. What about other ways to address the issue? Regarding Option #2 (an entitlement funded by payroll taxes), Vanessa Brown Calder’s article in National Review is must-reading on the issue. 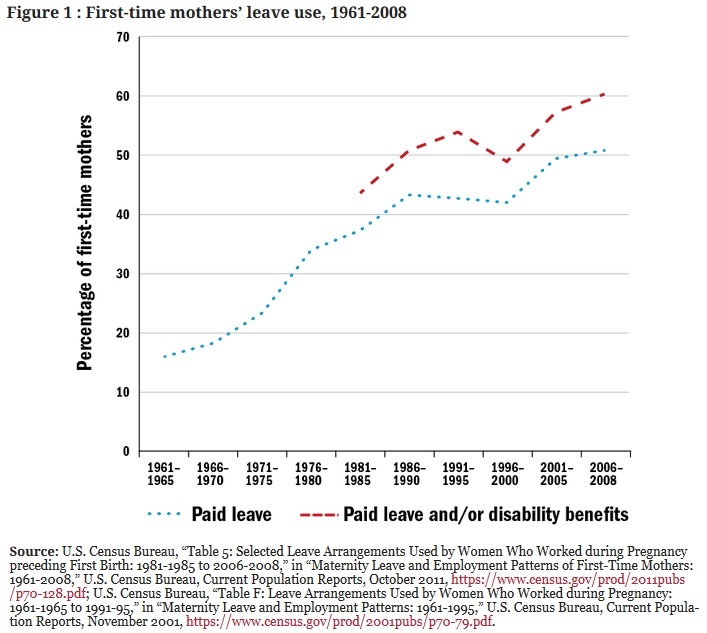 …government-supported paid leave is costly. Paid-leave proposals such as the FAMILY Act would result in new payroll taxes on all current workers, whether or not they intend to use benefits. …realistic assumptions based on the national use of the federal unpaid FMLA program…suggest the FAMILY Act would result in costs of around $450 per year in taxes for the average worker. …the program is likely to expand, as similar programs have in other OECD countries. For example, the average length of paid maternity, parental, and home-care leave available to mothers in OECD-30 countries in 1970 was 17.2 weeks. In 2016 that number had tripled, to an average of 52.5 weeks, or over a year in benefits. Large expansions of programs are accompanied by large expansions in program costs. For example, Norway expanded leave from 18 to 35 weeks between 1987 and 1992, which nearly doubled the cost to taxpayers from $12,354 to $24,022 per eligible birth. Imposing taxes to finance that much new spending isn’t very popular, even in left-wing states. For instance, the New York Times reports that politicians in California want to impose a paid-leave mandate, but they are having a hard time figuring out how to make the numbers work. The United States has long been the only industrialized country not to offer paid leave to new parents. Instead of waiting for the federal government, the incoming governor of California intends to change that… What’s unclear is how California would pay for it. The proposal, which the governor-elect, Gavin Newsom, is expected to include with his budget after he is sworn in on Monday, would be the most generous state policy in the nation, at a time when federal paid leave proposals have stalled. Yet it does not include a plan to finance it… California’s existing paid leave program is financed by a 1 percent payroll tax. Increasing that tax would require the approval of two-thirds of the Legislature, not assured despite Democratic control. Interestingly, folks on the left are making the same argument that Ms. DeSanctis used in National Review. “…we’re falling behind our economic competitors,” said Heather Boushey, the executive director of the Washington Center for Equitable Growth, who advised Hillary Clinton on economic issues during her 2016 presidential campaign. I’ll merely add that “we’re falling behind” only in the race to impose more government. We’re way ahead in the race for more prosperity. I also found this passage to be laughable. California has a history of fervent opposition to taxes. Democrats now have supermajorities in both the Senate and the House, but many of them have embraced fiscally conservative policies. You almost have to assume that the reporter who wrote this piece never visited the state. California has the nation’s most onerous state income tax. And it ranks very low in measures of fiscal policy. Yes, there is a supermajority requirement to raise taxes, but politicians in Sacramento have been very successful in overcoming that barrier. Let’s shift to Option #3 (mandating the employers provide leave). Vanessa Brown Calder authored a comprehensive study on parental leave last year. She included a section on how this approach would harm female workers. This data is especially noteworthy since there is additional evidence that women get hurt when government intervenes on their behalf. To conclude, let’s look at how her research supports Option #4 (no interference from Washington). Here are her main findings. …ample data show that the private market provides paid leave at rates about 30 to 50 percentage points higher than proponents claim. Private paid leave provision has grown three- or fourfold over 50 years and continues to grow. This trend indicates industry is responsive to employee demands. …Government intervention is also unlikely to correct gender or labor-market inequality in ways proponents desire. For example, families may respond to the policy by increasing women’s household work contributions relative to men’s. Redistributive effects of government intervention are likely to harm workers. This chart shows how markets are naturally responsive when government doesn’t intervene. 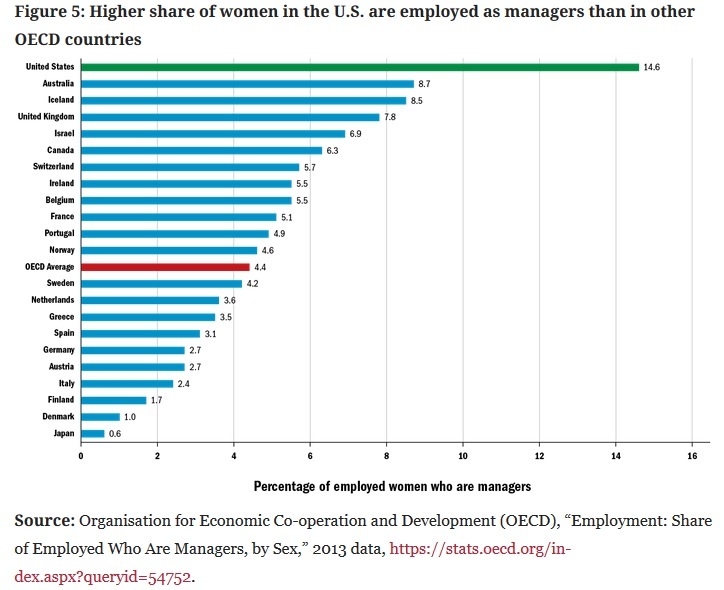 And this chart from her study shows that women do better in the United States than in other nations. In other words, benign neglect is the policy that produces the best outcomes. Sadly, this is one of the many issues where the Trump Administration is on the wrong side. The bottom line is that Option #4 is the only choice that is good for freedom, good for women, and good for the economy. Option #1 is not as bad as Options #2 and #3, but it is still a step in the wrong direction (as I noted last year, supporters “are proposing to do the wrong thing in the best possible way”).